The teacher home visit is making a comeback in California because it's proving to be a good way for teachers to build relationships with families. The state now requires schools to make family engagement a priority, so more districts are turning to the Parent Teacher Home Visit Project in Sacramento that has been training teachers for years to visit students and families on their own turf. It turns out the low-tech home visit can radically improve what happens in the classroom. The mechanics of it, though, are deceptively simple. 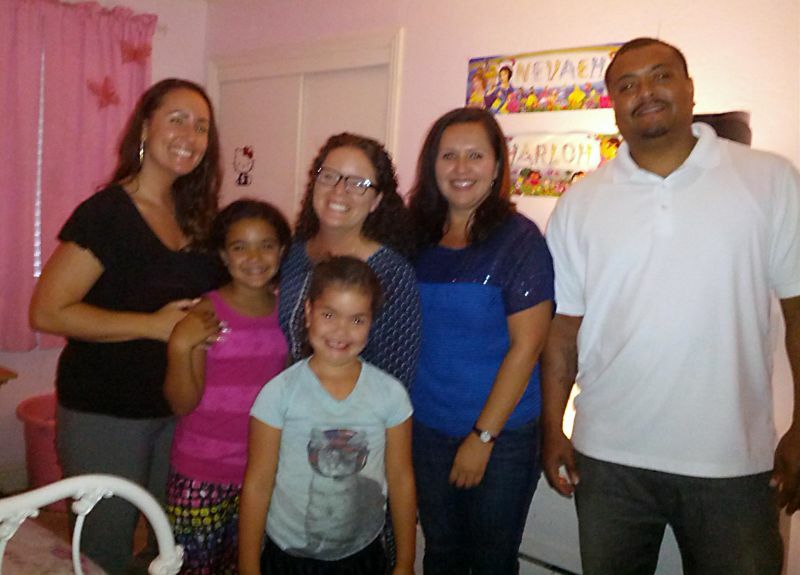 On one fall evening, teachers Cristina Bautista and Stephanie Smith, from Sacramento's Oak Ridge Elementary School, are sitting in fourth-grader Nevaeh Hamilton's living room. They aren't grilling Nevaeh or her parents about her academics or behavior at school. They're chatting about what Nevaeh likes to do at home. The conversation runs from karaoke to nail polish to drawing and then to the school garden. "Did you tell your mom about the salsa we made and you guys tried at the barbecue?" asks Bautista. "It was really good," laughs Nevaeh. "Everything came straight from the garden," adds Bautista. "I like the outdoor classroom where Mr. Wagner says you can't walk through the invisible walls," says Nevaeh. Then she's off to show the teachers her room. "Did you clean it?" teases Smith. Neveah’s giggling -- she's so excited her teachers are at her house. Her mom, Alicia Smith, also opens up to the teachers. "My goals, hopes and dreams are just for them to be successful in whatever they want to do and find their calling," she says. Teachers visit neighborhoods they’ve never been to before and meet people from cultures they know little about... And that's kind of the point. A visit like this can fundamentally change the relationship with a family, as long as it's positive and it's on the parents' terms, says Stephanie Smith. "We do home visits at Taco Bell down the street, at the park. We’ve done home visits at soccer games, or even on front porches," she says. "We try to get to everyone in whatever way the family feels comfortable." That can feel revolutionary because it's so different from the typical relationship teachers often have with parents. Parents are used to getting a phone call only when their kids behave badly in class, and they don't usually see the teacher outside school. When parent, teacher and student all feel appreciated by one another, the new relationship can make a big difference in the classroom. Kids who have had home visits attend class more and do better in school. There are fewer discipline issues, and parents are more involved. Bautista remembers a student she visited twice, once at home and then again at the hospital when he had to get his appendix out. "He totally changed, from having these outbursts to, 'OK, I feel like I’m part of the classroom and people actually do care about me and they go out of their way to show that,' " she remembers. Bautista said the boy's parents also became more involved. "A lot of families are not really comfortable with schooling or teaching or educators because of their past," says Bautista. "When you get to know that family member...you're working as a team to figure out, 'What can we do to help?' It’s more of a partnership: 'Let’s make our child successful.' If you don’t have that friendship or connection with the parent, I don’t think that can work or be successful." Teacher Smith says at first she was nervous about home visits. "I was terrified of [home visits] when I first heard of them," says Smith. "It’s not my environment, it’s their environment. I was worried that I’d be misunderstood, that they would have fear of me coming in with other intentions, instead of just getting to know them. I was worried they wouldn’t like me." 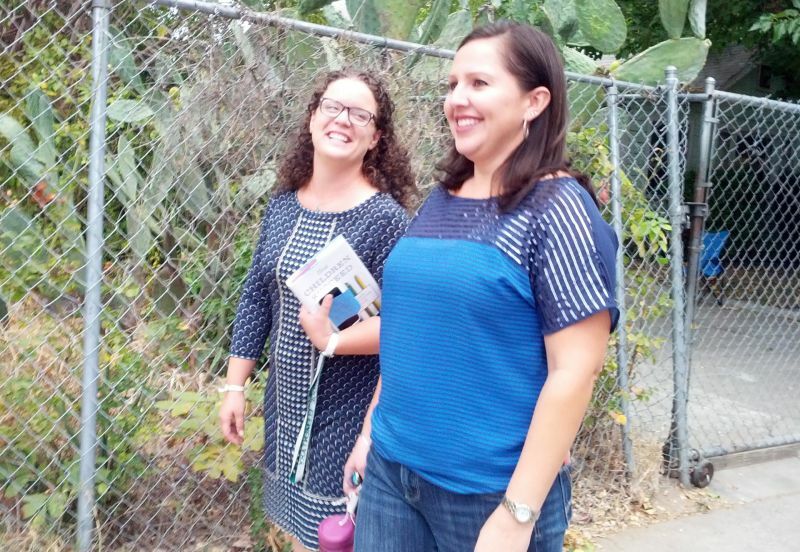 In Sacramento, teachers visit neighborhoods they've never been to before and meet people from cultures they know little about. And that's kind of the point, says Parent Teacher Home Visit Project trainer Yesenia Gonzalez. "We spend the biggest bulk of our three hours together talking about fears and barriers," says Gonzalez. " ’Cause if we don’t talk about that, they won’t go out. They’ll just sit with their assumptions, their fears, their what ifs." That's important because those assumptions can lead a teacher to expect less from students or discipline them too harshly. Gonzalez was compelled to help start the Parent Teacher Home Visit Project 17 years ago, when she says her daughter's school was in crisis. "Less than 1 percent of our students were reading at grade level. So as you can understand, the pain was enormous. Everybody was blaming everybody and meanwhile our kids were just falling through the cracks," Gonzalez recalls. She and other parents started researching schools with better outcomes, and they noticed something: Those teachers had relationships with students and parents outside of school. They began their project in eight schools in Sacramento. It's now in more than 400 schools across the country. Sacramento City Unified has managed to keep the project going for years, partly by using funds from Title I, which the federal government sends to school districts with large numbers of students from low-income families. In 1999, California allocated money for home visits in the state budget, but the Parent Teacher Home Visit Project's Sacramento director, Lisa Levasseur, says that after funding was discontinued, a lot of districts stopped the visits, at least officially, though some teachers here and there kept doing them. Now, with the new funding formula for California and a mandate to engage families, many districts in the state are using new money to pay for home visits that they get from having more English learners, foster kids and children from low-income families. It's about time, says teacher Bautista. "It’s amazing when you walk into a family that you don’t know too much about," she says. "Background can be anything culturally. So when they take the time to cook a meal you were totally [not] expecting, you really feel important and you feel like you’re part of the family and you really see that families do appreciate what teachers do." Teachers say that after a visit, when a kid has trouble in class, it's easier to partner with the family to find a solution. And visits can give teachers new insights into a student's home culture that they can incorporate into the curriculum. "When I go to a home and they taught me about their garden, or something specific that the family really shines at, I’m like, 'Why don’t I do more of these more often?' " says Bautista. It's dusk when Bautista and Smith leave the Hamiltons’ home and walk back toward school. They run into a neighbor. "Oh, hey, there you are!" calls Bautista. "I was like, 'Isn’t this the Daniels’ house? How you doing?' "
"Long time no see!" Smith chimes in. These teachers say parents in the neighborhood know them now and seek them out to ask for visits. And, they say, school is starting to feel like family.